Being a tourist in Europe may come with some territorial grounds. The average traveler probably does not know that photographing iconic landmarks may be violating the European Union copyright laws (EU), depending on which country in which you’re traveling. For instance, the Eiffel Tower is a landmark that is protected by copyright law. Therefore, when one snaps a photo of the Eiffel Tower are they really breaking the law? In 2001, the EU copyright law provided an optional clause, explaining that photos of public buildings cannot be taken, published, or shared without first asking permission from the owner. This optional clause curtails from the rationale that authors’ have exclusive rights to protect their works of art and such protection gives authors an incentive to create. Both the United States and the European Union copyright laws afford some type of protection for authors by granting exclusive rights. Under EU law, these exclusive rights are known as economic rights. (Art. 4.1). Such economic rights include the exclusive rights to authorize prohibit the reproduction, distribution, rental, communication to the public, and adaption of the work, in whole or in part, as provided for in articles 4.2-4.6. Equally, the United States provides authors with six exclusive rights, codified in 17 U.S. Code 106. Although, all intellectual property law is considered territorial in nature, the Berne Convention for the Protection of Literacy and Artistic Works provides authors’ with international protection. Thus, when taking a photo of an iconic landmark and then sharing it on a social media site without the author’s permission, one may be breaking the law. The Eiffel Tower is one example of an architectural building that does enforce this EU optional clause. However, the clause is only enforced when it is illuminated at night. This is because the Eiffel Tower was built in 1889, making it a piece of artwork that falls within the public domain. So, exactly what does this mean? If one is a tourist in France who decides to take a picture of the Eiffel Tower lit up, it cannot be shared with the public in any format. However, if permission is requested from the Eiffel’s Tower operating company and permission is subsequently granted, the photo can be shared. While many tourists may find this shocking and unfair, it is rather reasonable. 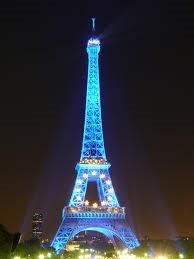 Tourists are allowed to admire the beauty of the Eiffel’s Tower illumination, while the author is still provided protection. Intellectual property protection provides authors with an incentive to create, while still sharing the beauty of their artwork with the world. The next time you travel and snap a photo, think twice before deciding to share it, because you may be breaking the law. Tourists, please take this as a cautionary tale.